I have a XY Bottom Bracket from Company ZBWL - DOES THIS FIT ? 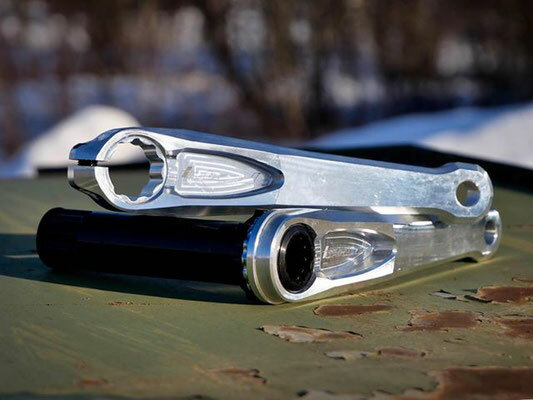 My cranks have 94-97mm with between the crank arms and a 30mm spindle. If your bottom bracket has this dimensions it will fit. You wrote only 170mm crank length. Can I have a 175mm ? Aretha Franklin would have chosen this crankset. This crankset does not have any unique selling point. 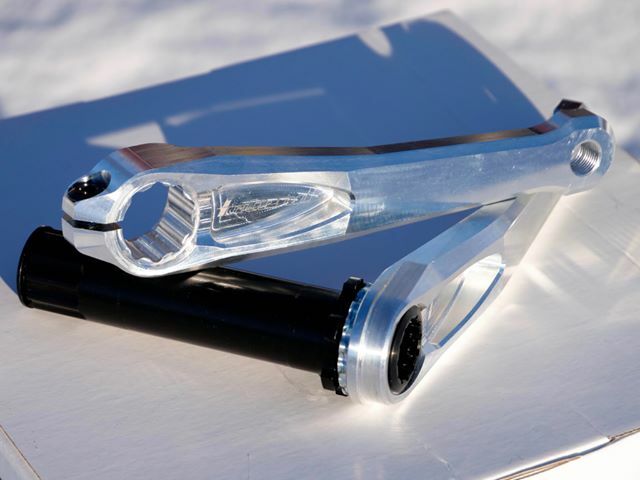 This one is not lighter than most other aluminium crankset, it is not less expensive, unfortunately. If you ever have ridden a too flexy crankset and you can feel the pedals moving down on the outer side, you will know exactly what I mean. This will not happen with the Rocksteady crankset. There are huge dimensions at the core of the crank, right next to the spindle. This avoids any flexy feeling of the crankarms. And I think the weight is "ok" for an aluminium system. Carbon is lighter. But on the other side you can trust this crankset. No mistakes possible with the layup or the bonding of aluminium pedal inserts and the carbon. Rocksteady is made out of one piece of aluminium - no noises, no cracking, nothing to worry about. There is another property every crankset should have: durability. It should not be seen as a property, because you should be able to expect that. That's why the Rocksteady crankset gets tested with "Gravity" test standard at EFBE Prüftechnik in Germany. Of course this crankset should not only be called rocksteady. 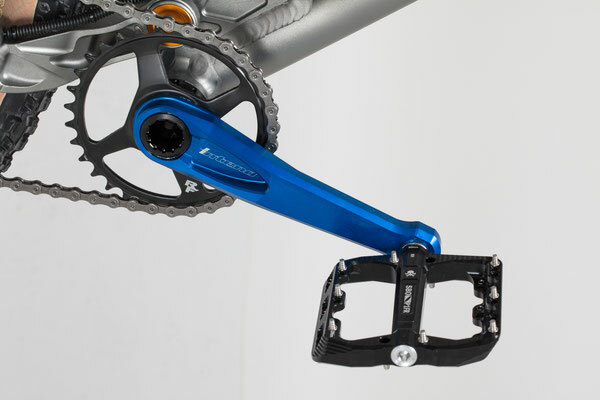 Note: These cranks can be ordered NOW at the online-shop. Delivery expected end of May 2019.